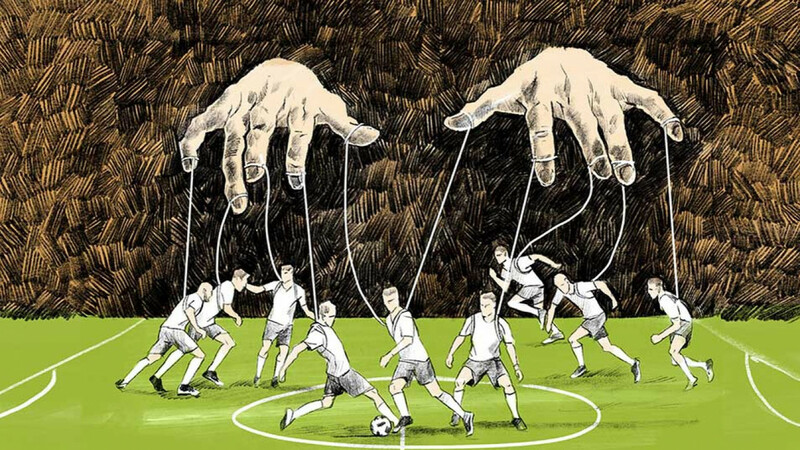 A lucky draw, a freak handball, strange VAR decisions — the World Cup has been fodder for conspiracy theorists, many of whom suspect President Vladimir Putin is pulling the strings. 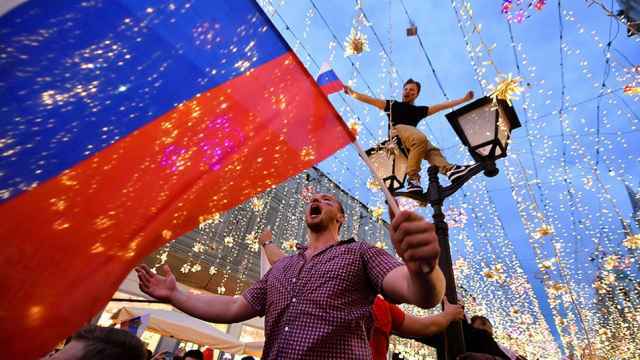 Few Russians believed their side had any hope against Spain. The hosts were the lowest-ranked team playing in the World Cup, after all. For most of the first half, Russia lagged 1-0. Then, relief came in the form of Gerard Pique’s hand. In the 41st minute of the game, the Spaniard raised his arm to block the ball and Russia was awarded a much-needed penalty. The rest is history: Russia scored and went on to win after a penalty shootout. Spectators were aghast. “That’s absolutely idiotic from Pique,” a Newsweek journalist wrote on Twitter. “Gerard Pique gives the host country a hand,” the Peruvian Libero’s tongue-in-cheek headline read. On social media, many suspected money had changed hands. 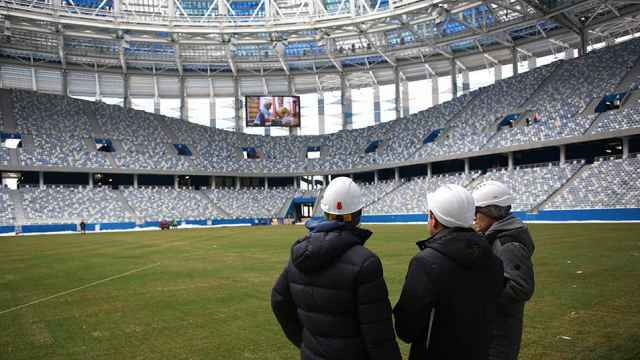 Since Russia won its bid to host the World Cup, conspiracy theories have never been far away. A glimpse at social media paints a picture of a World Cup rife with match-fixing, substance abuse and, in some cases, even supernatural forces. In many tellings, Putin is personally pulling the strings. At the draw in December, Russia was pooled with Uruguay, Egypt and Saudi Arabia in the World Cup’s weakest group. 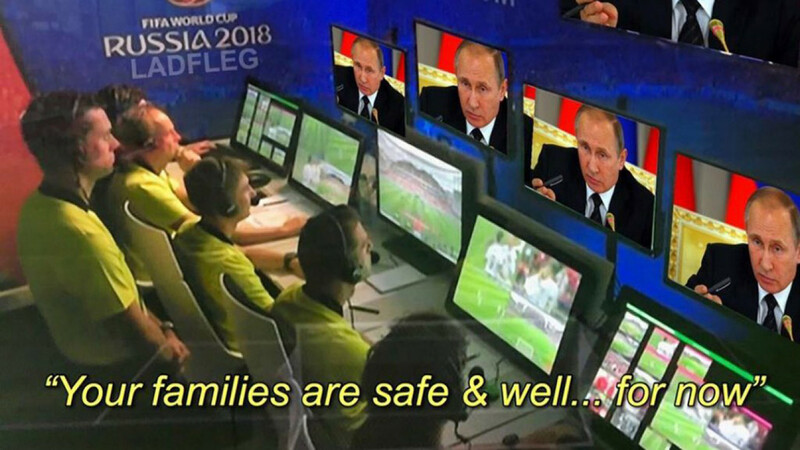 A social media storm ensued: “Group A is the biggest fix in World Cup history,” one Twitter user wrote. 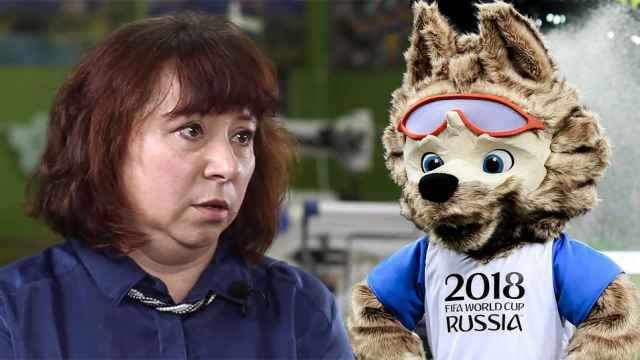 The rumor mill did not stop there, particularly after Russia breezed through the group stage. While much of the country was cheering, a large part of the Runet was trying to find answers to the team’s success. “Why did we wipe out Saudi Arabia? Putin personally asked the top Saudi to help [Russia] get off to a strong start. Why did we beat Egypt 3-0? It’s simple — the Egyptians lost so that Russians would start flying to Sharm el-Sheikh again,” a Sportbox.ru blogger summarized, fed up with the rumors. Seen through the prism of the Cup, business deals struck off-pitch took on a new meaning. Shortly after Russia’s game against Saudi Arabia, attended by Crown Prince Muhammad bin Salman and Putin, the countries agreed to increase oil production. Some of the theories verge on science fiction. “This is how it works: A nano-magnetic grid is pulled over the ball. It is invisible to the naked eye,” a user called Lui Vega wrote on Facebook in a post shared almost a hundred times. 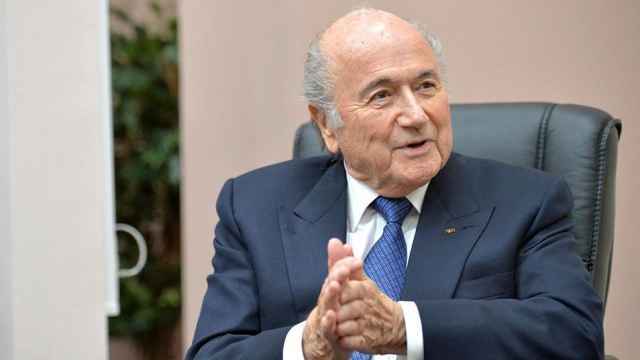 FIFA has been embroiled in multiple corruption scandals, and its denials have not been able to shake suspicions of widespread match-fixing. Meanwhile, allegations by the World Anti-Doping Agency of a state-sponsored doping program around the Sochi Olympics, combined with reports that Russian football players are running longer and faster than their rivals, have raised eyebrows. Consequently, alternate theories surrounding the death of Tsar Nicholas II, the Soviet collapse or worries over “foreign agents” doing the West’s bidding in Russian society are rife. A poll conducted by the state-funded VTsIOM pollster in 2014, for example, showed that 45 percent of Russians believe the world is controlled by a global government. Ironically, the conspiracy theories explaining Russia’s success have now themselves become the object of suspicion among Russians worried about foreign interference. “I don’t know why people are surprised that the Russian team got this far, because at the end of the day we were playing very easy teams,” Andrei Kanchelskis, a former Manchester United player and now a coach, told The Moscow Times.